Friday, February 8, 2019-Nigerians are just special creatures. They have so much confidence that enables them to do crazy things. 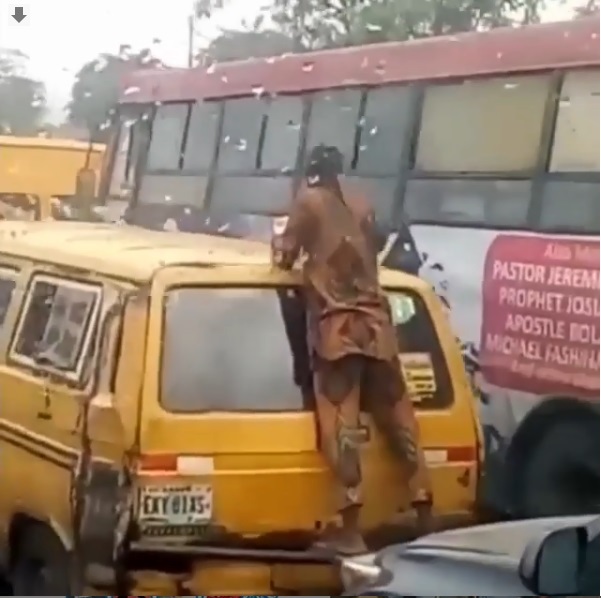 This man was spotted in the streets of Lagos enjoying his food on a moving bus like a real boss. This video will just make your day. Watch it and feel free to share with your friends to brighten their moods too. 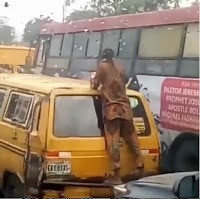 Nigerian Man Spotted Seriously Eating On A Moving Danfo Bus!!! !